At Venture North we cater for a wide range of clientele. 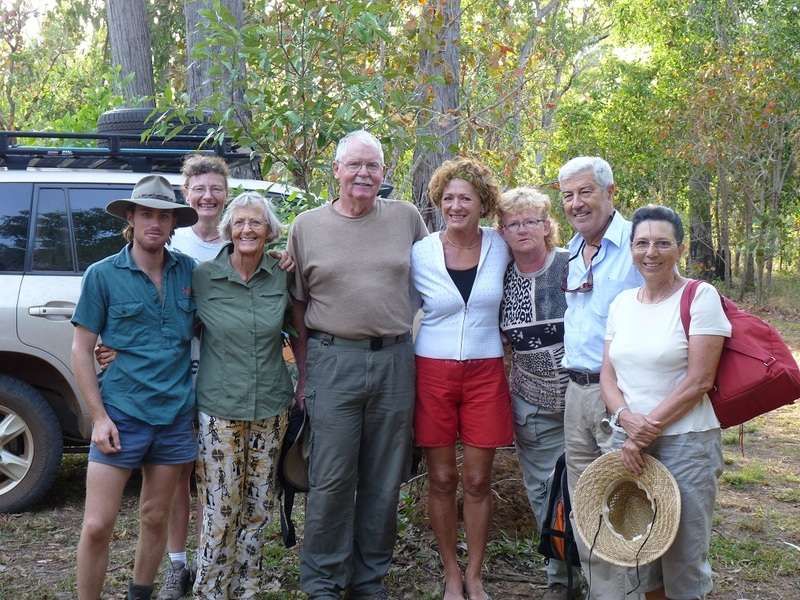 Most of our guests that book on our small-group tours are aged between 45 and 65 years, many are even older. What really sets us apart from the large coach tours are our small groups. Various companies advertise as 'small groups' but they can be anything up to 21 people traveling in a coach. Venture North guests don’t travel in coaches but in high-end late-model Landcruisers which can accommodate 7 guests plus guide/driver, however we cap the number at 6 which allows maximum comfort. To read more about our vehicles click here. We don't have any age limits on our tours but we do require guests to have a 'reasonable' level of fitness. Our small-group tours are classed as 'soft adventure', there are some 4km walks, some over rocky terrain so it's not for everyone. You do need to be stable on your feet and getting in and out of our smaller vehicles and boat may not be ideal for some. If you are going to be a bit slower and perhaps don't want as much adventure then instead of joining one of our small-group tours a private tailor-made tour (private charter) may be more appropriate. You can find out more about our private charter options here. There are many common threads why tourists choose one of our tours but we've found most commonly people prefer to travel in a small, more personalised group. You'll often find one of the advantages of a small-group tour over coach tour is that the guide is accessible at all times to answer your queries as well as being more attentive to individuals needs. It's also nice not having to queue for meals or wait for others when undertaking different activities. If you'd like to know more about our small-group tours and private charters don't hesitate to contact us on (08) 8927 5500.